For over 20 years- ever since leaving college- I had always dreamed of two things. First- I had always wanted to be involved in some way in photojournalism or something to do with News. Second- I had always wanted to be a college professor. I’ve had a love for education, and had spent years hoping I could one day return to it – but at a university level as a Professor. When it comes to Photojournalism and Visual Communications, one of the top institutions is the SI Newhouse School of Public Communications at Syracuse University. 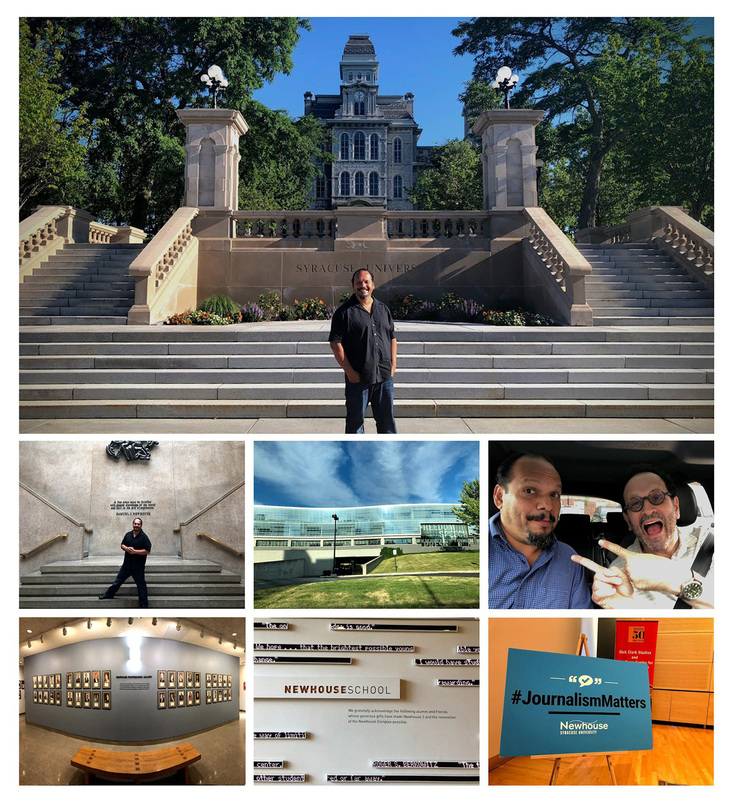 I have officially accepted a position with Syracuse University at Newhouse, with a charge to teach undergraduate and graduate students digital skills in the Adobe Suite in addition to Multimedia Storytelling. To add to this, I will be teaching alongside one of my photographic idols, and someone who has become a dear friend to me, Gregory Heisler. I’ll be moving from Tampa to Syracuse within the next week and we are renting our house here in Tampa while we get our feet wet in this new adventure. Jenn, Sabine and I are excited to be able to start something new, in the backdrop of the mountains and lakes of northern NY. I’ll still continue to do videos, have a studio, and work in the space. I’ll just had the great fortune of being able to add another goal to my list. I’m excited for your opportunity, and chance to grow. But I cannot lie, gonna miss you lots! Congrats!! Well deserved. NY in winter will be QUITE different for Sabine, but she's an incredible kid (by all accounts); she'll adapt. :-) Mike. And the Finger Lakes region is absolutely gorgeous - for photographers and everyone else. Wow, congratulations RC! This sounds like such a wonderful opportunity. Sending you best wishes on your new endeavor. Congratulations RC! Sorry to see you leaving Florida, but this sounds like a great opportunity, and the ability to fulfill a dream. Good luck!!! RC. I am excited to have you so close. As a Syracuse Alum, (Not Newhouse), I know that you are going to love being on that campus. I hope I get to meet you someday. You can't beat the facilities and faculty at Newhouse. I am only 70 miles away and have learned so much form you over the years.